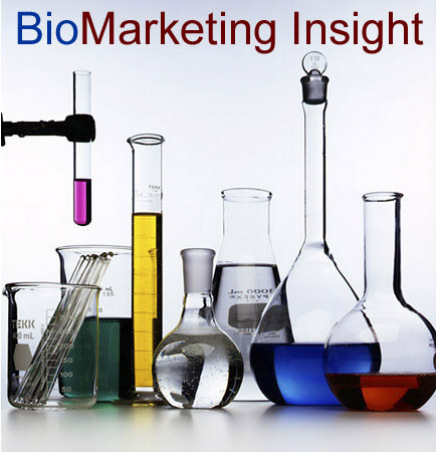 Welcome to BioMarketing Insight’s monthly newsletter. Read on to learn more about this topic and other current news. The next newsletter will be published on May 15th, 2019. We encourage you to share this newsletter with your colleagues by using the social media icons below, or by simply forwarding this newsletter or use the link below. Should you or your colleagues want to join my mailing list, click on the link below. Please email me, Regina Au, if you have any questions, comments, or suggestions. Developing a Product? Commercializing a Product? 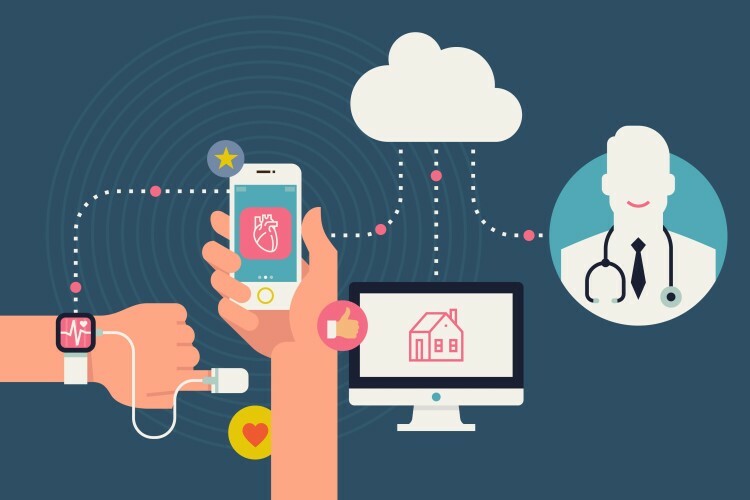 Digital Health: Is This the Future of Healthcare? If you are developing a product and have not conducted the business due diligence to determine commercial viability or success, contact me for an appointment. For successful commercial adoption of your product or looking to grow your business, contact me for an appointment. 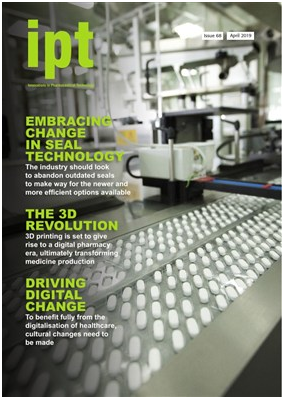 I am pleased to announce that my article on 3D Medical Printing, Printing Potential has been published in the April 2019 issue of Innovations in Pharmaceutical Technology (IPT). This article reviews where 3D printing is the most beneficial and why. To read the article, click here. I am pleased to announce that my article entitled “Updates in Solving the Mystery of Alzheimer’s Disease Pathology” was published in the International Journal of Clinical Pharmacology & Pharmacotherapy. This commentary reviews the “Updated Proposed timeline of biomarker abnormalities leading to cognitive impairment” and the involvement of both beta amyloid clearance and plaque, and tau clearance and tau-mediated neuronal injury and dysfunction. To read the article, click here. I am pleased to announce that my article entitled “Why Our Microbiome is Important to Our Physiology and Diseases” was published in the International Journal of Clinical Pharmacology & Pharmacotherapy. This article reviews the results of the Human Microbiome Project and the factors that affect our microbiome in relation to our healthy state and dysbiosis or disease state. To read the article, click here. 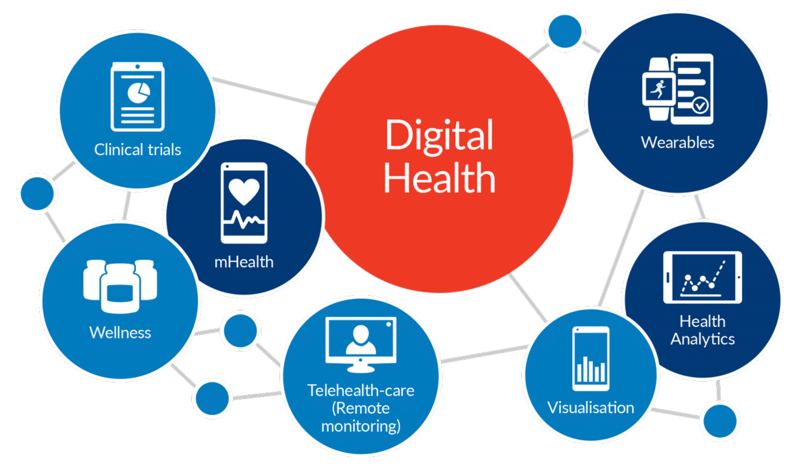 When we talk about Digital Health, it is very complex and there are many divisions of digital health that can get confusing since each division has its own terms and acronym. I will try to italicize these “buzz” words in each segment. In addition, everyone has their own definition of what digital health means and for the purpose of this newsletter, I will define Digital Health in broad terms as “The gathering and flow of information that delivers better healthcare.” For me, there are five (5) components to digital health to be successful, 1) patient journey, 2) digital tools, 3) access and flow of information, 4) digital segments, 5) Reimbursement. More information is provided below. This is the most important first step of Digital Health in delivering better healthcare. 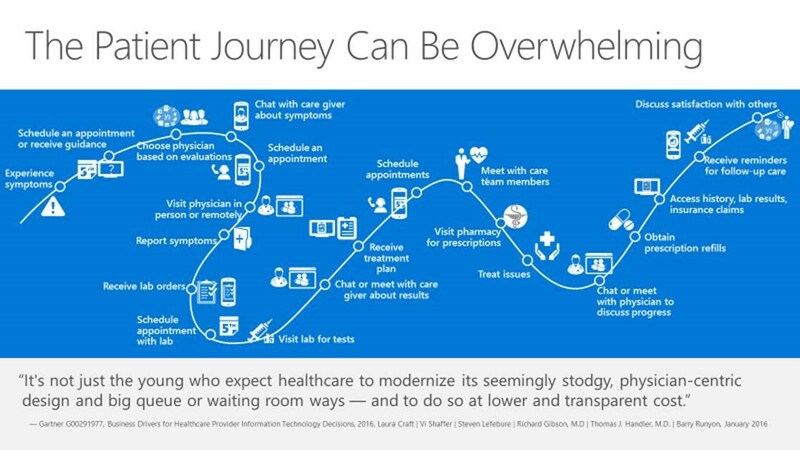 By understanding the disease, clinical treatment protocol (physician) and the experience of the patient journey in living with this disease and what patients need to do (patient compliance) to get well will define the pain points or gaps that warrants digital tools in aiding patients in this journey. Finding solutions to pain points or gaps in delivering better healthcare is where innovation starts. However, the next four components is also important to make the digital tools work and comply globally. My definition of digital tools are divided into two groups: 1) Digital Hardware can be defined as a medical device such as an ultrasound machine, diagnostics, wearables such as a pacemaker or holter monitor, programs such as Telemedicine, and mobile apps; and 2)Digital software that goes into the digital hardware including AI or machine learning. 2) General AI is an emerging field aimed at building “thinking machines,” that is, general-purpose systems with intelligence comparable to that of the human mind (and perhaps ultimately well beyond human general intelligence). Other terms used for this category are “Grand AI Dream”, “Strong AI” and “Human-level AI”. We are a long way from General AI. 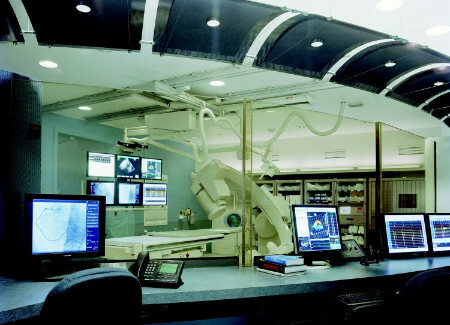 a) Flow or Interoperability – Digital tools can gather or generate a lot of information but unless this information gets to the right place such as a patient’s electronic medical records (EMR) or electronic health records (EHR) then the information is rendered useless or it has to be entered manually which is too much work and won’t be used. Interoperability is where machines can communicate with each other seamlessly in receiving and giving information is a huge issue that needs to be solved for all sources of information. Most people can access information within their organization but can’t access anything outside their organization because the machines can’t talk to each other or information is still paper rather than electronic. ii) Hackers can steal patient’s identity for monetary personal gain, shut down a hospital or institution until they pay a ransom usually with bit coins, plant a virus to shut down a hospital as a challenge to see if they can, or hack a device in causing harm to a patient. However, access to information is very important for the medical care team, caregivers and family in having access to the same information if they are to coordinate and reinforce care. The challenge is to balance the access and flow of information to the right place and to the right people and easily or seamlessly. Blockchain was once praised to be the answer for cybersecurity because no two or three machines would have all the information posing a challenge for would-be hackers to get all the information. Now researchers at MIT have discovered that blockchain hasvulnerabilities and are now getting hacked. However, researchers at Purdue University are working on a way to protect wearables and implants from hackers by using a low-frequency electro-quasistatic signals that limits the broadcasting range to a centimeter beyond the user’s skin, enabling the wearer or a doctor to interact with the device while keeping hackers at bay. Rather than having the signals from the senor on the body emit through open air or Wi-Fi, the signals will travel along the body from the sensor to a smart watch in gathering information. c) Standardization – Even if one can access the information, it may be still in a paper format or an electronic format that maybe un-useable because everyone tends to have their own electronic format that may not be compatible to transform it into a unified usable format to manage and make sense of the data. The industry needs standardization of information and format to make the data usable. Since digital tools were introduced particularly with mobile apps, the FDA have drafted guidelines and regulations for what tools would be under the FDA jurisdiction for FDA approval and which tools would not. For more information click here. Their purpose is to use digital health to address “emerging challenges, such as the rise of non-communicable diseases, clinician workforce shortages and the aging population, barriers to the adoption and application of such tools persist due to information fragmentation, a lack of institutional support, and interoperability and security concerns, among others.” To read the WHO Global Strategy on Digital Health 2020-2024, click here. The European Union (EU) had also published guidelines on how companies and governments should develop ethical applications of artificial intelligence. The EU convened 52 experts who came up with seven requirements they think future AI systems should meet. They are the following: 1) Human agency and oversight; 2) Technical robustness and safety; 3) Privacy and data governance; 4) Transparency; 5) Diversity, non-discrimination, and fairness; 6) Environmental and societal well-being; and 7) Accountability. A number of these have already been discussed but agree with their full list. There are four (4) main segments that digital health or tools that can help to delivery better healthcare: 1) In the hospital; 2) Outside of the hospital – in the home and in the physician’s office; 3) Clinical Trials; and 4) Clinical Research. a) In the hospital- in addition to making sure that inpatients have the best healthcare, hospital are also trying to use patient EMRs to analyze patient risk of developing for example diabetes called predictive analytics or “population health” for preventing patient to advancing to the next stage of their disease. Or based on risk factors whether a patient is more likely be readmitted into the hospital once discarded. b) Outside of the hospital – patient monitoring devices are used to identify symptoms of a disease for diagnosis, alerts to when a patient has an event and time is of essence, to something simple as a patient has fallen and can’t get up. One can also use patient monitoring to uncover any digital biomarkers that may diagnose a patient with a certain disease and intervene early with treatment. c) Clinical Trials – pharmaceutical companies are using digital tools to monitor patients in obtaining data as to how well a patient response to a drug and to enhance patient compliance. The data obtained through clinical trials can also help to uncover digital biomarkers for that particular disease. d) Clinical Research – all the information obtained in the first three segments as well as monitoring for digital biomarkers in a controlled environment beyond for example an EKG and pulse rate for a tread mill stress test can help scientist to better understand diseases in finding treatments and cures for them. The goal is to combine biomarkers from genomics, proteomics for genotype, metabolomics (determine differences between the levels of thousands of molecules between a healthy and diseased state) for phenotype and digital for physiology in uncovering the full picture of diseases. Who is going to pay for it? This question should be at the top of the list and is it in line with what everyone is doing. For example, when telemedicine (video conference or e-call) was praised for easy access to physicians for those who had to travel a distance, for the elderly who couldn’t travel or determine whether one needed to go to the ER, people thought it was a good idea. However, at first insurance wouldn’t pay for it or the patient had to pay for an e-call to the ER doctor. This is a barrier since physicians want to get paid for their time consulting a patient and depending on the cost to the patient, it may or may not be affordable to everyone. Today, some insurance companies are reimbursing for e-calls and other aren’t. In addition, e-calls are not applicable for all types of office visits. For physical exams, it’s hard to have an e-call, but for follow-up that don’t require hands on examination, this would apply. 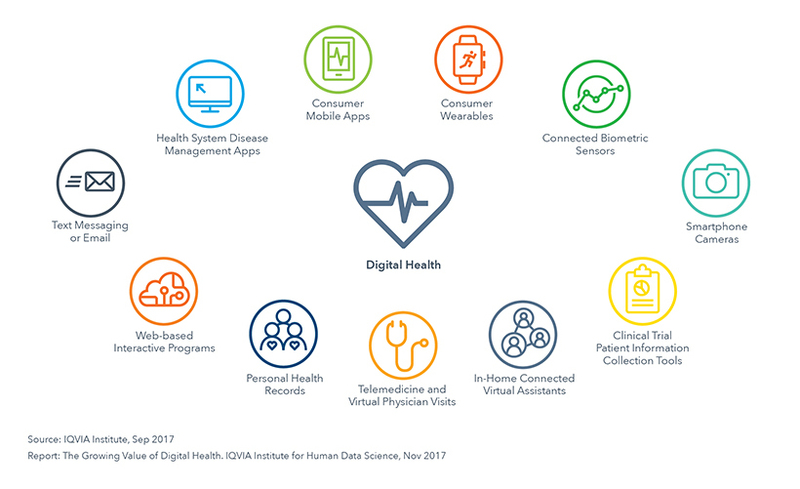 Digital Health is here to stay now that we have more sophisticated technologies to develop better digital tools that will enable scientists and physicians to understand and diagnose diseases better, enhance patient compliance, and coordinate care among all those involved to delivery better healthcare. As the old saying goes, it takes a village to care for a child, same hold true for a patient’s well being. We may also need to reevaluate our test parameters in what is considered normal and abnormal. Scientist and physicians have uncovered that for Alzheimer’s disease (AD), by the time a patient has accumulation of beta amyloid plaque or has symptoms, the disease may have progressed to the point beyond regression of halting the progression of the disease. And that physicians have to diagnose AD ten (10) years before symptoms and plaque accumulation. Not an easy task. As discussed above, there are many components to digital help that needs to be ironed such as interoperability, cybersecurity and HIPPA, standardization and the newest acronym that people are using called FAIR – Findable, Accessible, Interoperable, Reusable. I will be participating at the Bio-IT World Hackathons April 15-16th discussing FAIR in Boston. In this global environment, taking into consideration what the EU and WHO organizations are advocating for in their guidelines and goals are also important to incorporate if one wants to do business globally and to have one unified standard. We are just beginning this journey to unified standards and goals. Don’t forget reimbursement. 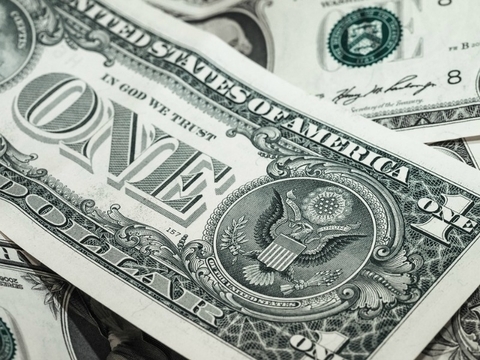 Depending on who pays for it will always affect product adoption of digital tools. But the final key to success in making this all work is communication through whatever means that is and to make whatever tool or work flow process one is developing easy for the end-user because if it is not easy, there won’t be adoption of the technology and the delivery of better healthcare will not come to fruition. 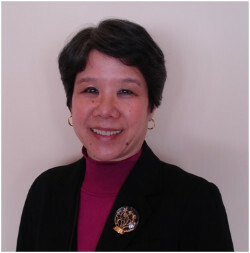 Should you have any questions or need assistance with your business due diligence, determining your product’s value proposition and economic value of your product, feel free to contact me at 781-935-1462 or regina@biomarketinginsight.com. Copyright © 2018 BioMarketing Insight, All rights reserved.